I’m not the same old girl, no. I want a brand new world. 1. 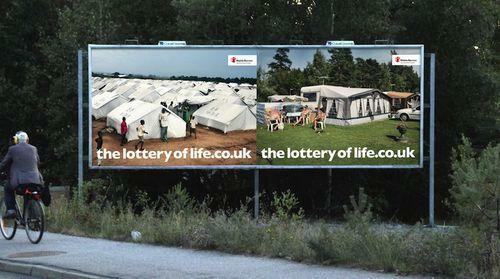 The story starts with a post by Mike Todd over on Waving or Drowning called The Theology of the Lottery of Life. Click here to watch the video: Videos Posted by Chennai Expats: Dec 2, 2010 7:40am. We sat on the sidelines doing nothing while AIDS ravaged Africa. We were wrong; we’re sorry. Wow. I can’t tell you how much this makes me want to cry and sing at the same time. Now, I ask you … What do I do with this, the pile of Christmas presents on the floor, the sick feeling in my stomach and the question in my heart: What if we are living the completely wrong Love story? I’m not the same girl, no. Isn’t it amazing sometimes how God weaves many different sources into the SAME message that He wants us to hear? I love that. Love that you are tasting that and sharing it. It’s beautiful . . .